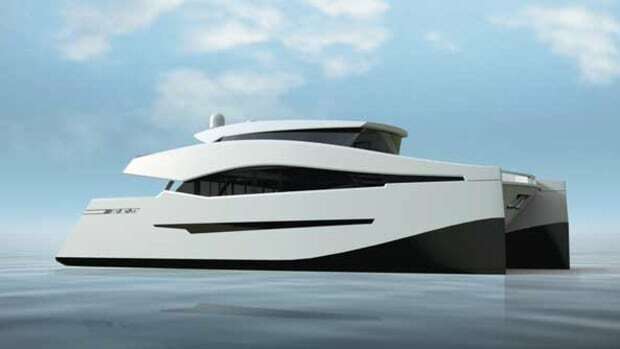 Icon Yachts has partnered with Ivan Erdevicki Yacht Design to develop the ER175 concept, a 175-foot (53.4-meter) high speed superyacht. 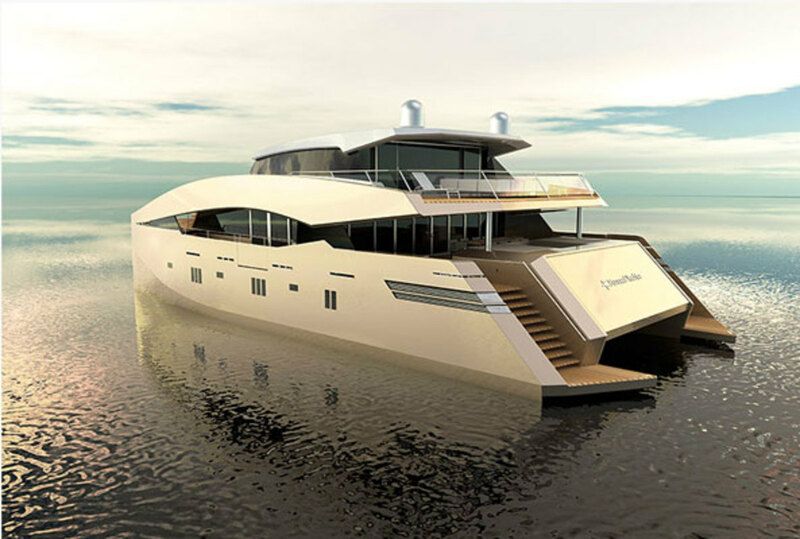 The design was presented at the Monaco Yacht Show in 2012, but in London on Apr. 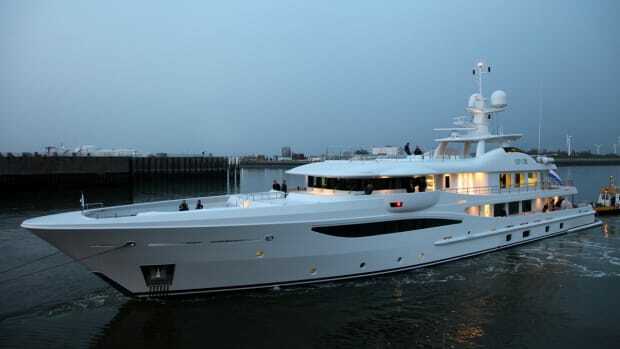 19, the ER175 was given the International Yacht & Aviation Award 2013 for Best Concept Design over 40 meters and above. 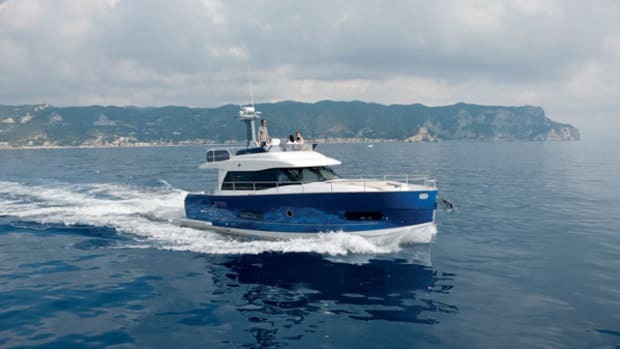 With futuristic styling and a layout that spans three decks and a flybridge, this semi-displacement yacht still reaches up to 31 knots and has a transatlantic range. The sheer lines of the bullet shaped bow is expected to provide reserve buoyancy for a smoother ride. 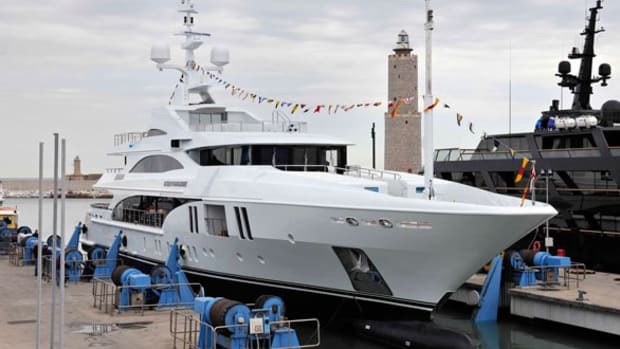 Based on a 128-foot (39-meter) Classic design by Andrea Vallicelli, ISA’s new 134foot (41-meter) launch Aziza is a steel and aluminum tri-deck motoryacht yacht that features a hot tub on the sundeck and a large swim platform off the arched transom. 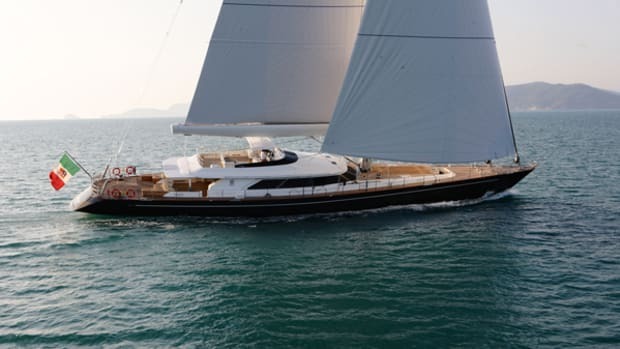 The yacht’s curved transom and flared bow are key elements of ISA’s Classic line. 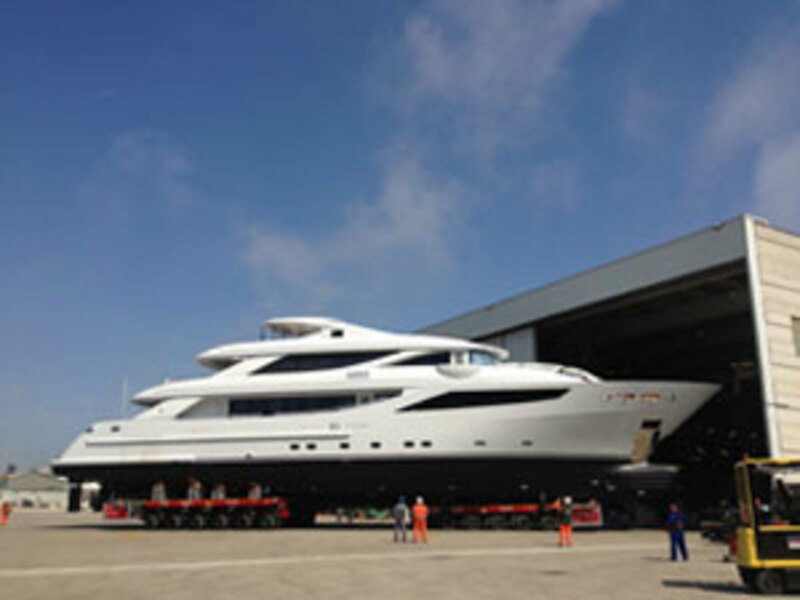 The full-displacement Aziza is powered by twin Caterpillar C18 diesels and is expected to reach top speeds of 14 knots. 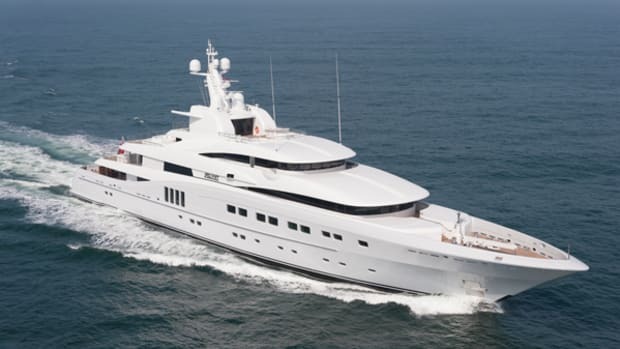 The yard expects to deliver Aziza in June. Because of their large beams, catamarans are known for their expansive decks and Sunreef’s new concept, the 90 Power, is no exception. 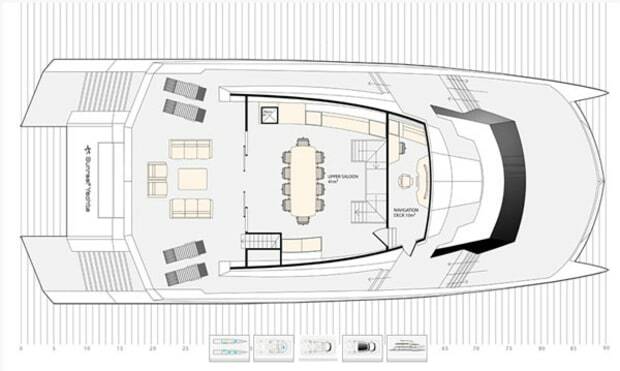 The main deck holds all the main living areas, as well as the full-beam master suite situated forward. 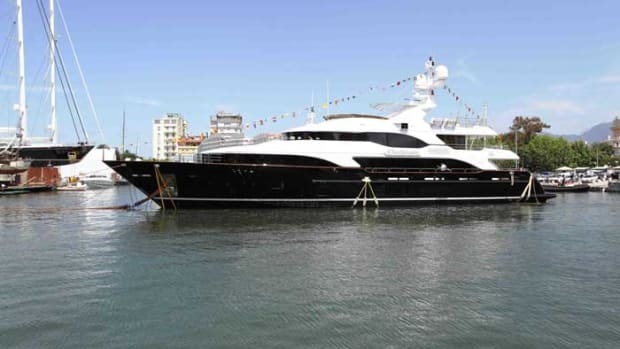 The flybridge, which includes both enclosed and exterior spaces, includes the helm station and lounging areas, both inside and out. 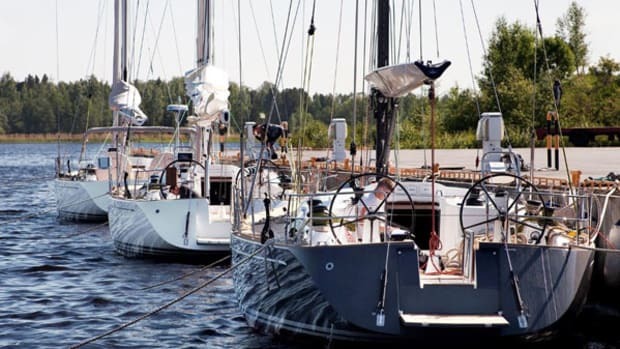 Guest cabins are located within the hulls on either side of the yacht and the separate crew cabins have direct access to the galley and storage areas located within the hull. The interior design is intended to be minimalist and utilizes modular furniture. 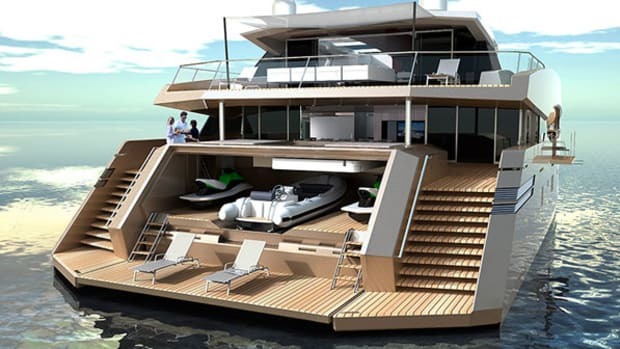 Built-in furniture will only be installed within the hulls. Aft, designers created a beach club, atypical for catamarans, which will allow guests sea level access at anchor as well as at lower speeds. This arrangement will also allow for easy access to the water toys and tender stored in the garage.